If you choose the best for you, it concerns all spheres of your life, right? Fitness and health is n essential part of it, so you should be careful about putting your money and efforts in the right direction. We present great Concept2 model D indoor rowing machine for your workouts. It is an optimal investment in your health and beauty. 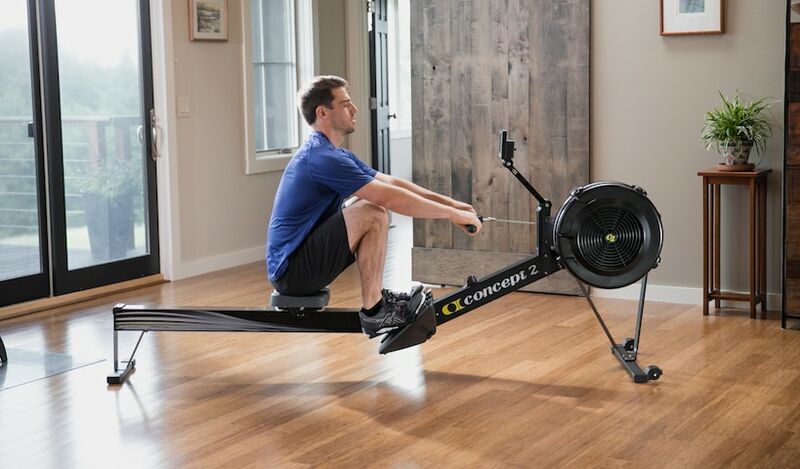 The Concept2 brand is considered one of the top rowing machine brands in the modern market. Pro sportsmen, advanced users as well as beginners choose the popular Concept2 models. 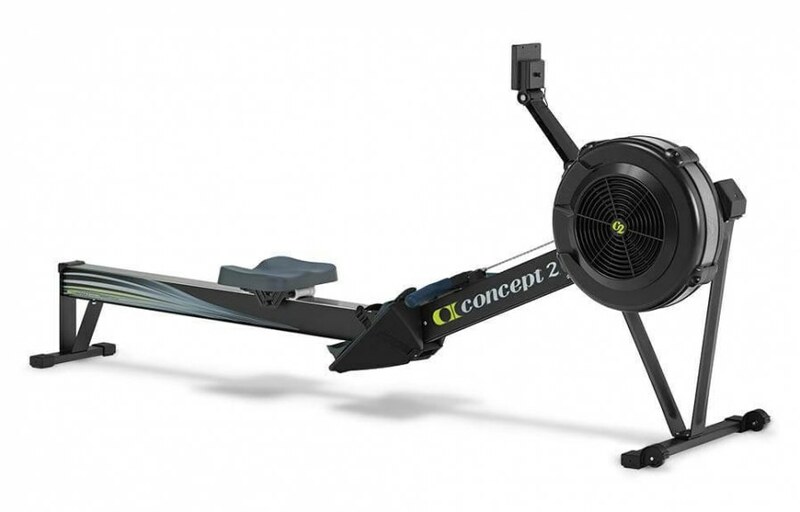 In this article, we give the overview of Concept2 model D indoor rowing machine with PM5. Check the simulator in black and light grey colors. Concept2 model D indoor rowing machine is a perfect choice for those who want to always maintain the shapes and keep the body in tonus. With reliable and comparable workout data, you can easily control your progress. As workout options comprise time, distance and intervals. It also includes wireless Bluetooth and ANT+ unity for heart rate monitoring or apps, and even games. 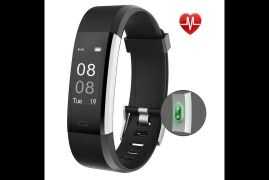 With the help of a backlit LCD display, that is easy on your eyes, you control your progress and stay motivated, connecting with a broad variety of your favorite fitness apps. Different online rankings allow you to compare your results with others. For example, free ErgData app records and stores exercise routines on your smartphone. PM5 performance monitor and flywheel designed are made for your convenience. In general, the Concept 2 rowing machine is suitable for the full body workout, training front legs, arms, abs, chest, back and buttocks. Concept 2 model delivers an effective cardiovascular workout. It is up-to-date exercise equipment, that conquers with the best machines in the world. In fact, you are able to control not only your workout intensity but also the airflow with a simple adjustment of the damper, that levels 1-10. Concept2 model D indoor rowing machine workouts provide you with smooth feelings and minimum noise. The advantage is that air-resistance flywheel reacts to each stroke. After workouts, the rower is quite easy to move for storage. It separates into 2 pieces: rolls easily on caster wheels while completely assembled. The simulator releases quickly without devices working only with a frame lock mechanism. Concept2 model D indoor rower is intended to provide a highly effective cardiovascular workout at an affordable price. It is commercial-grade for home use as well as at the gyms. See more on the Concept2 official website. The rowing machine is a perfect simulator for aerobic or cardiovascular fitness. That is a type of physical activity when exercises of moderate intensity are performed for a long time. The number of heartbeats increases and breathing becomes more frequent. Such workouts are the best way to burn subcutaneous fat. Do not forget to buy the Nickel Plated for your workouts. Other factors also speak in favor of aerobic exercise. During these activities, the body is saturated with oxygen, activates the process of metabolism. As a result of aerobic training, muscles are tightened, excess weight is gone, the cardiovascular system is strengthened, endurance and dependable performance are improved. In addition, stress resistance increases, and the mood rises. Another important point: aerobic training can be performed to the music, which allows you to enter into the wide range of exercises dance elements. Aerobics is suitable for both men and women, children are happy to do it, which means that this type of fitness is suitable for the whole family. The simulator is quite easy to assemble. For many exercises, special equipment is not needed, so they can be done everywhere: at home, in the park, in the yard, in the country. Cardiovascular or aerobic training increases your heart rate and breathing rate into the various intensity levels for 10 minutes or more. Regular cardio activities are brisk walking, running, cycling, swimming, rowing, and cross-country skiing. What are the benefits of cardiovascular fitness? It is true, fat does not start to burn immediately, but only when glycogen stores are consumed. During the first 20 minutes of workout fat almost does not burn. And only after 40 minutes of exercise fat becomes the main source of energy. In case you follow the diet, you can lose weight. What is the catch? It would seem that you run 40 minutes a week and lose weight. But the fact is that the body very quickly becomes accustomed to aerobic exercise. After 2 weeks you will spend considerably fewer calories on a half-hour run than at first. During the first month, in case of regular workouts and dieting, you can lose 2-3 kg. Then the process will slow down as your body get accustomed to the training. The impact of aerobic training of low and medium intensity will differ from the more intense loads. Light and medium aerobic loads involve mainly the cardiovascular system (therefore they are also called cardio workouts). High-intensity aerobic workouts give the load not only to the heart but also the muscles. Since they are no longer aerobic in their pure form. Rather, they can be called complex. If we talk about the “pure” aerobic workouts, they contribute not only to the fat burning, but also the loss of muscle mass, which is highly undesirable. “More” does not always mean “better.” With aerobic exercise, it is important not to overdo it! Too much aerobic exercise is perceived by the body as a shock, causing a hormonal reaction leading to the breakdown of muscle tissue. If more detailed, it increases the level of cortisol, which causes muscle breakdown and decreases the level of testosterone responsible for their growth. Studies have shown that hormonal changes begin after about an hour of aerobic exercise. Thus, the optimal duration of aerobic exercise should not exceed 1 hour. The longer aerobic workout is dangerous by lowering immunity, increasing the number of free radicals and increasing the risk of cardiovascular and cancer diseases! So, we have considered the main features of aerobic (cardiovascular) and anaerobic (strength) exercises. Now let’s talk about how to combine these two types of exercises to get the maximum effect depending on the training purpose. Maintaining a stable weight, preventing cardiovascular diseases and strengthening health. 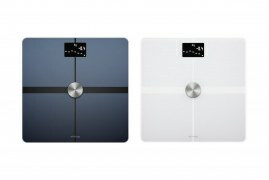 Fast one-off weight loss by several kilograms. To maintain a stable weight, prevent cardiovascular diseases and maintain health: 20-30 minutes of aerobic exercise is enough. Do not forget to monitor arm position. Such training should be performed regularly. You can do it every day. For a quick one-off weight loss by several kilograms: Regular (daily) aerobic training with a constant increase in the duration of training (up to 1 hour). Remember that the body quickly gets used to aerobic exercise, so the result must be obtained in 1-2 months. Then there will be no need in aerobic training! Therefore, do not skip workouts and do not neglect the diet. Upon reaching the result, it is recommended to choose any training program designed for long-term use, and follow it, not forgetting about other components of a healthy lifestyle (proper nutrition and body cleansing). How often should you do cardiovascular fitness? It is better to perform aerobic exercises in the morning. At this time the metabolic processes in the body are accelerated under the influence of activating hormones. In the morning, fat burning will be much more intense. Training should begin with a 10-minute warm-up, and the exercise itself should last at least 20-30 minutes. At this point, the process of burning fat starts in the body. Gradually increase exercising time. A 40-minute workout will be quite enough, the maximum set time is 1 hour. Remember: the more intense your movements, the more actively the fat is burned. At the initial stage, you can practice 3 times a week. And then when you get a taste and see the result, most likely, the desire to perform aerobic exercises will become daily. Do not stop it in any way – exercise, improve your mood, gain strength and lightness! While rowing, you need to monitor the pulse. Normally, it should be 60–70% of the maximum. The upper limit of the permissible norm is determined by the formula: (220 – age) * 0.7). 2 hours before a workout, do not eat. The fact is that if you have eaten right before the workout, the energy of the consumed food will be burned during the workout. But not the fat you want to get rid of. And remember that the maximum effect of aerobic workouts will be achieved only if you monitor your diet. There are old proven principles: less flour and sweet, more vegetables and fruits. It is also necessary to monitor the volume of servings. Aerobics instructor leads and instructs people through various exercise activities. Monitors the correct performance of aerobic exercises. Able to give advice on the choice of exercises, work intensity, the level of load, diet and so on.